Trees have long been proven to have positive effects on people in urban environments. Along with having a calming effect, they also prove to be mentally restorative. It is thus no surprise that more natural environments are brought into office spaces to improve the mental health of employees and their overall performance. The mental benefits of trees can, however, be introduced into stressful environments from a much earlier age. Science Daily published the findings of a new study in America led by Ming Kuo from the Department of Natural Resources and Environmental Sciences at U of I, who investigated the link between greenness and academic achievement in 318 of Chicago’s public elementary schools. The district serves a predominantly low-income minority population, with 87 percent of third-graders qualifying for free lunch during the study year (2009-2010). 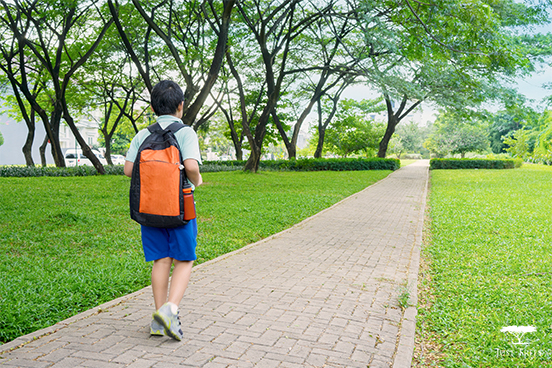 Schoolyard tree cover predicted academic performance, both for reading and mathematics: the more trees, the better the performance while grass did not improve a student’s ability to learn. Kuo specifically wanted to find ways of improving education in areas where teachers were desperately trying to improve the results of their pupils despite having to cope with difficult circumstances such as overpopulated classrooms, ill-fed students and fatigue. Unfortunately, these are all familiar working conditions found in classrooms across South Africa. Kuo states that society refusing to ‘green’ low-income minority schools due to insufficient funds could be doing students a disservice. In 2015 an article posted on The Washington Post, Just looking at nature can help your brain work better, study finds by Chris Mooney, corroborates the fact that students exposed to greenery for a 40-second “microbreak” while being tested were more focused. The students found that the exposure was restorative and the results of the study discussed in the article found that the students made fewer errors and performed better on the task at hand. The issues low-income minority schools are faced with are incredibly difficult to comprehend and impossible to resolve with short term solutions. It’s the same circumstances that led 9 South African schools to achieve a 0% Matric pass rate in 2017. South Africans have been dealing with the same problems for years and a solution seems to be far off. Kuo’s study provides an optimistic approach that could benefit all students in the long run. While there are trees populating the school yard, students and teachers can reap the benefits they offer, have some relief from stressful situations when needed and return to the task at hand feeling mentally restored.